A compact and gently-lit space in an old office building. Artistic tableware, utilitarian tools, lifelike ornaments and other familiar pieces huddle together on an island of antique units. A palette of black and white, with occasional touches of rusty auburn and metallic grey. Distinctive and independent, Pragmata Gallery showcases compelling works that combine a curious mix of tradition and modernity, functionality and experimentation; blurring the lines between functional items and works of art. As a collector turned gallerist/curator, Petros Titonakis opened Pragmata in 2013 as an extension of his growing collection of, and long-held interest in, contemporary craft and antiques. Among the thirty or so artists whose works are featured in the gallery, a strong group of Japanese creators are complemented by a handful of artists from Scandinavia and Central Europe. While predominantly dealing with ceramics – bowls, vases, tableware and sculptural objects – there are also works in metal and glass, along with paintings and assemblage. Monthly exhibitions feature works made specifically for the gallery, which is transformed each time through various installations and arrangements, all of which Petros constructs himself. The result of this approach – which becomes more apparent as you spend time inspecting the works and speaking with Petros – are unique presentations of pieces with curious textures that are not as straightforward as they may first appear. The midnight black of Akihiro Sugita’s bowls results from the artist painting, smearing and rubbing the wooden forms with urushi – the sap-based coating traditionally used on Japanese lacquerware. Emerging contemporary painter Gaku Matsuoka references nihonga (traditional painting) in works that make use of materials ranging from charcoal and silver leaf to caramel. Yukiharu Kumagai’s ceramic bowls are left unglazed, with the granular snowy-white surface designed to inherit colours, allowing the object to evolve and gain value as time passes by. 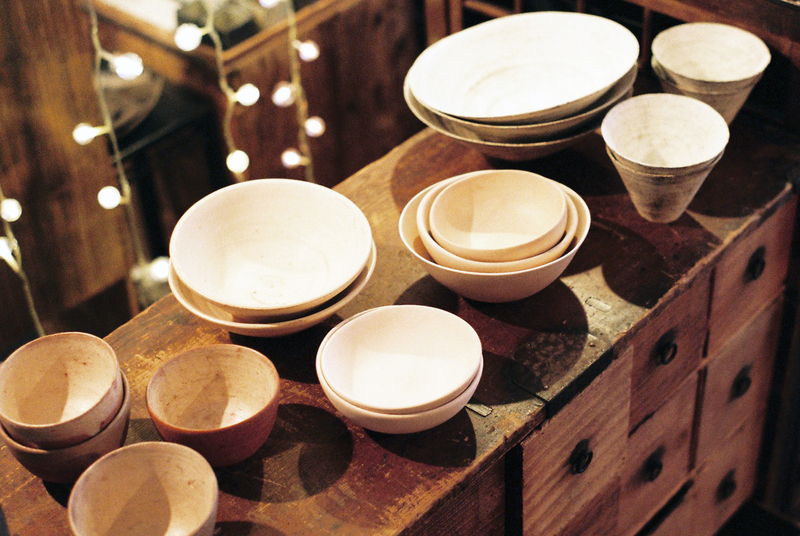 Located a generous stroll away from Tokyo Station, the humble and hidden gallery offers a refreshing perspective on longstanding crafts and craftsmanship. From exhibitions that are a true collaboration between artist and curator to the antique pieces and strange specimens spread throughout, Pragmata positions itself on the fringes of the city’s gallery scene and provides a welcome change to the typical white-walled gallery experience.